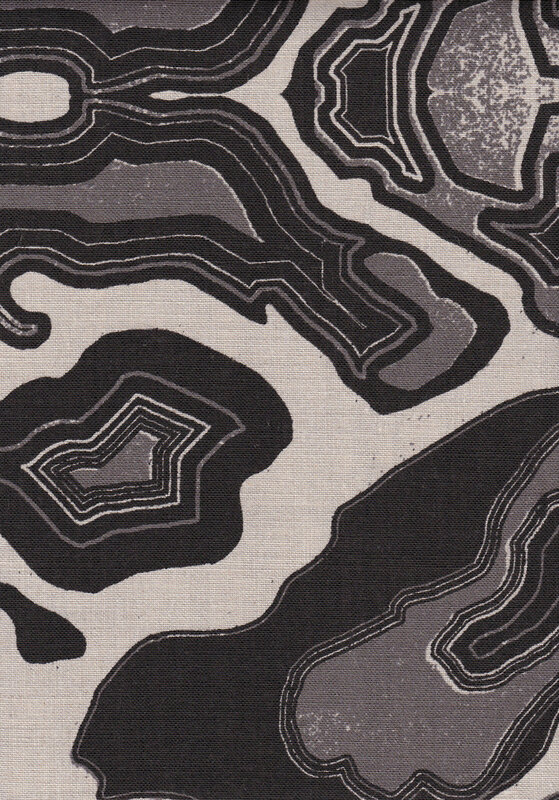 Geode was designed with natural topography in mind. 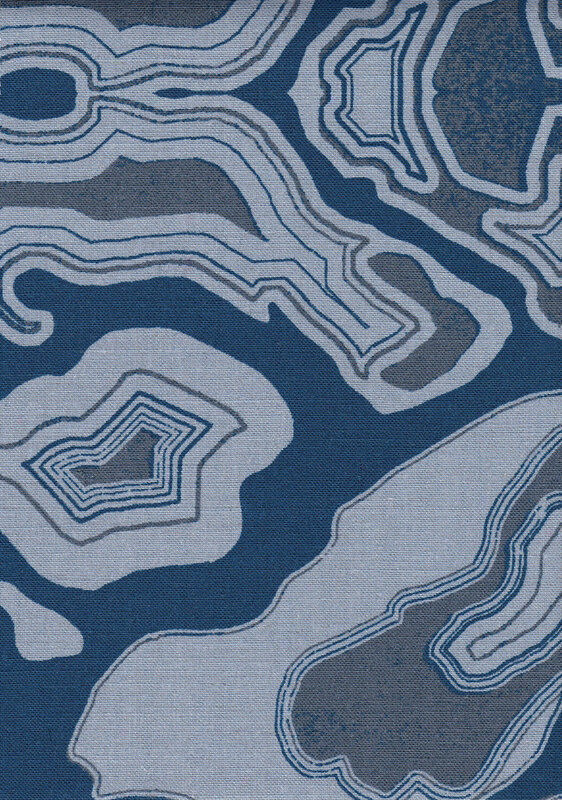 The lines and shapes are reminiscent of fields, bodies of waters, and roads. When it was done, we felt like it felt like looking into a cracked open geode. This pattern is available in linen and oatmeal cotton linen blend. It has a 23” x 34” repeat.